Competitive gamers meet your match. There’s nothing quite like the Logitech G Pro Wireless mouse, and few can match its simplistic, intuitive design. It’s claimed to be “the ultimate gaming mouse for esports professionals” and, though I am just an amateur gamer, I’m inclined to agree. Not only does it tick all the boxes on paper, it delivers on its promises in-game. 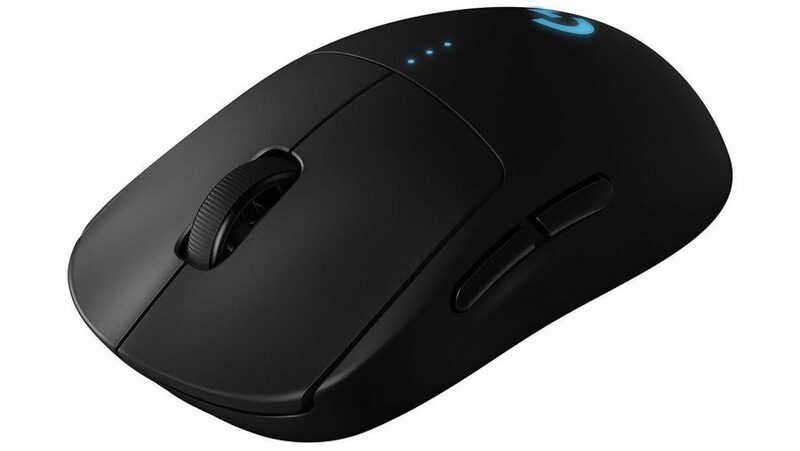 Logitech has toned down its approach from that of the G-series flagship, the Logitech G903, passing up on the futuristic, cutting style of the Logitech’s top mouse. 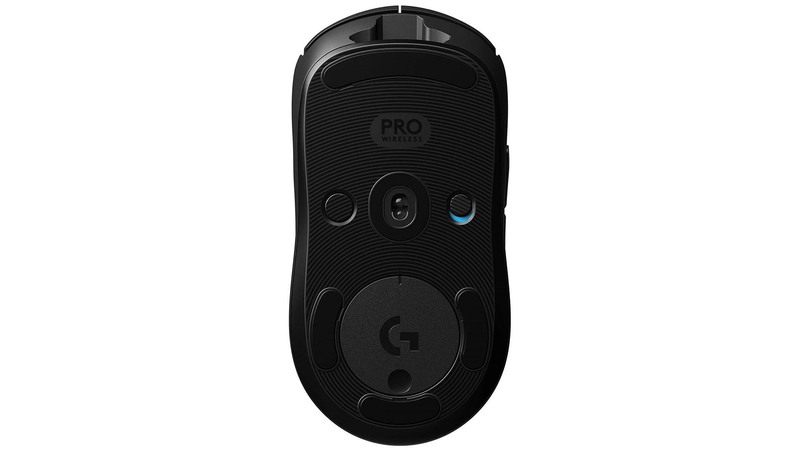 Instead, the Logitech G Wireless Pro is simple, featuring just a handful of thumb switches (zero, if desired), a scroll wheel, three almost indistinguishable DPI LEDs, and a single RGB logo lighting zone on the palm. Not even a DPI toggle switch has made it into the immediate vicinity of the user, instead relegated to the underside of the mouse. The underbelly of the beast features PowerPlay adapter support, a nook to store the USB wireless adapter, four slick mouse feet, and an on/off switch. Talk about bare necessities. The magic occurs on the inside. Logitech has pretty much nailed its wireless game with LIGHTSPEED, and that same flawless wireless is present in the Wireless Pro. The latency introduced by the wireless connection is entirely nominal, indistinguishable from a wired connection in all but the freeing qualities of not having a thick braided cable floating around. The HERO sensor, too, takes pride of place in the Wireless Pro. This highly efficient sensor allows for ludicrously long battery life while retaining acceleration-free, high-performance optical tracking. The Wireless Pro will last up to 48 hours of use with the RGB lighting on, or 60 hours with the lighting disabled. That’s barely a single charge for a week’s use, eight hours a day. So long as you don’t forget to charge, you’re good to go. But despite the wireless and sensor tech, the Pro Wireless is a featherweight champ. At only 80g, it’s far lighter than the G903 at 110g, even surpassing the 85g Corsair Harpoon RGB – a wired gaming mouse that only packs the essentials. This is achieved through an extremely thin 1mm exterior shell, backed up by a lightweight endoskeleton. That ultrathin plastic is still unlikely to withstand a direct impact with moderate force, and, while I don’t care to test its hulk-smash resistance, it does offer surprisingly little flex during use. But every gram shed has been worth it. The Wireless Pro’s extreme responsiveness under hand is incredibly conducive to reflexive gaming, allowing for fast, agile movements unhindered by neither wires nor weight. The switches are snappy, and the mouse’s simple ergonomics and shape lend to a truly enjoyable, fleet gaming experience. And just like professional sporting equipment, the Wireless Pro doesn’t come cheap.. You’ll have to cough up $150 (£130) for the privilege of all that Logitech proprietary tech. That’s a touch pricier than the G903 at the current market price for one thing, but compared to the usual esports mouse fare – a great sensor in a rather unspectacular frame – it’s a huge cost to swallow. But what you receive in return for your parted cash is nothing less than exemplary. The lightweight design of the Wireless Pro is proven to work wonders in a far better gamer’s hands than I, with the Overwatch League’s MVP, Profit, using the mouse for the final few matches of the inaugural season. But even I, a competitive gaming layman, felt a noticeable improvement in my game thanks to the Logitech G Pro Wireless. Maybe that’s down to the combination of wireless connectivity, high-performance sensor, and lightweight design: selling points touted the world over to esports pros and amateurs alike as ‘game-changing’. But nevertheless, you’ll find only a small handful of mice that can offer that valuable feature set within a polished, reliable package as excellent as the Logitech G Pro Wireless mouse; few get anywhere close. 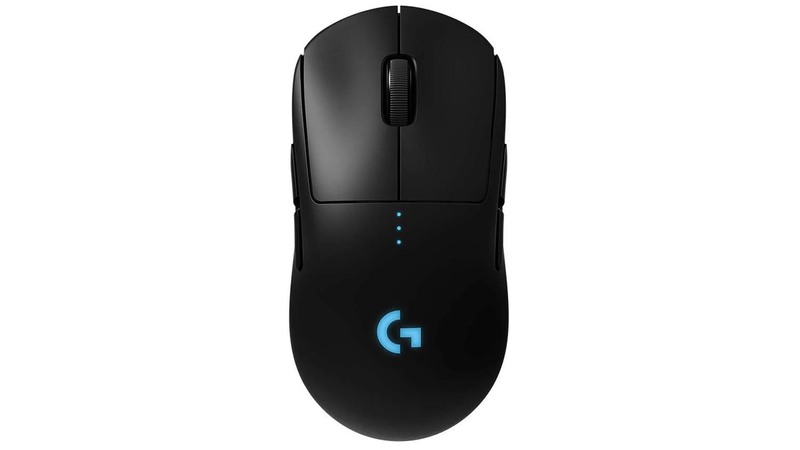 The Logitech G Pro Wireless' competitive-driven design, lightweight construction, and incredible sensor combine into an exemplary gaming mouse that has been proven to be deadly in the right hands.